We are offering a wide range of Chip Counting Machine. These machines are manufactured by using the best grades of components under rigid norms of quality that are in accordance with preset industry standards. We are the leading manufacturer, supplier and trader of Chip Counting Machine. The free count mode of these machines facilitates freely counting all notes in the counting chamber. 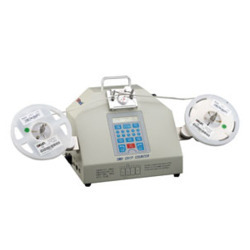 We have with us the technically advanced range of these Currency Counting Machines. These devices operate with excellent speed and exhibit optimum performance. Looking for Chip Counting Machine ?